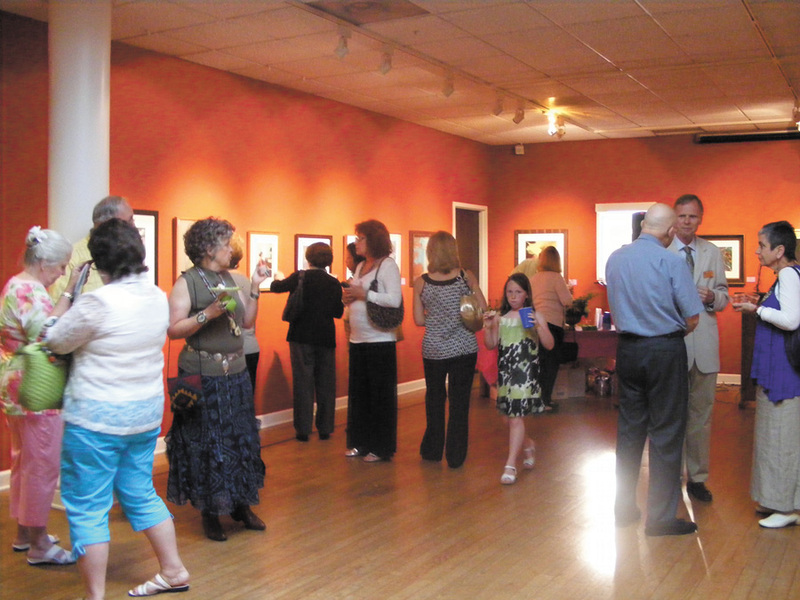 The Southeastern Pastel Society’s annual juried exhibition draws a crowd at Oglethorpe. “I think this exhibit was a wonderful opportunity to bring the community together in the historical and beautiful setting of the Oglethorpe campus,” Gail Bowler said. Sisters Carol and Gail Bowler were among artists and art lovers who flocked to the museum May 20 for the opening of the Southeastern Pastel Society’s 14th International Juried Exhibition and an exhibit of works by French painter Maurice Utrillo. The pastel show runs through June 27. “Utrillo: The Magic of Montmartre” will be on display through Sept. 5. “It was a real treat to view these wonderful pieces from the Southeastern Pastel Society while enjoying the work of a fascinating French painter who roamed the streets of Montmartre with Degas and Renoir,” Gail Bowler said. Museum director Lloyd Nick said the eight Utrillo paintings in the exhibition are part of the private collection of Isaac Melamed, a member of the museum advisory board. The works are being shown to the public for the first time. Utrillo (1883-1955) followed in the footsteps of his mother, Suzanne Valadon, who was also an artist. Born and raised in Montmartre, Utrillo focused his paintings on the cobblestone streets, flower shops, bakeries and churches of the small, picturesque village in northern Paris. The Utrillo pieces, mostly oil paintings on canvas, offer a contrast to the pastels, which are colorful pigments bound into a stick that an artist can use like a pencil. Among winners in this year’s pastel competition are Margaret Dyer’s “Christmas Eve Party,” first place; Junko Ono Rothwell’s “Sand Dune in October,” second place; and Donna Biggee’s “Ordinary Pleasures,” third place. Judith Cutler’s “At The Dock,” Connie Reilly’s “Social Security?” and Marsha Savage’s “Morning Mist” received exceptional merit awards. “I was drawn to the sense of mystique with the sun just barely peaking through the mountains,” Savage said of her “Morning Mist,” a rendition of Ellijay, a town in north Georgia. A sense of wonder is just what the museum advisory board hopes to inspire in the workshops they are offering to children 8 and older during June and July. Veronica Holmes, Oglethorpe philosophy professor and chairman of the museum’s advisory board, said that depending on which workshop the children attend, they will learn about the museum’s exhibitions and collection, create self-portraits, or learn about printmaking or photography. For more information, visit www.oglethorpe.edu/museum.